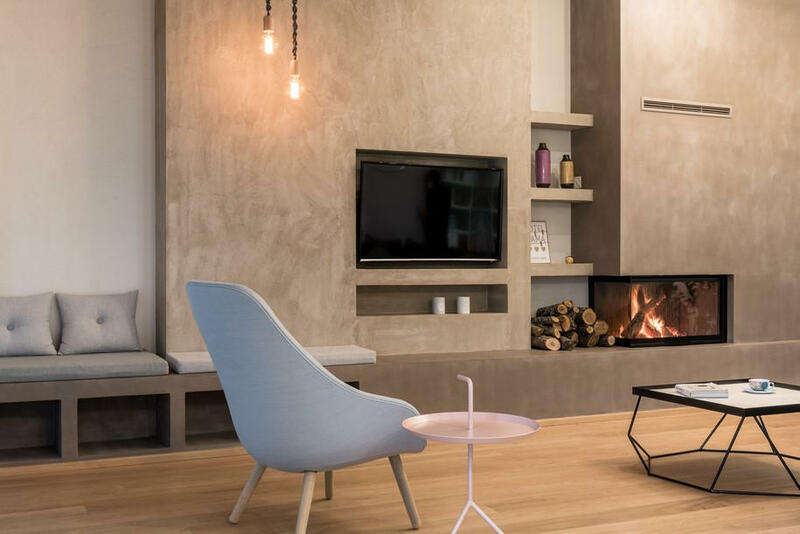 This Scandinavian influenced three-bedroom apartment is located just outside the city of Trikala. This 150m² unit features an open plan kitchen, dining and living room area with a back garden, owned by a young couple. 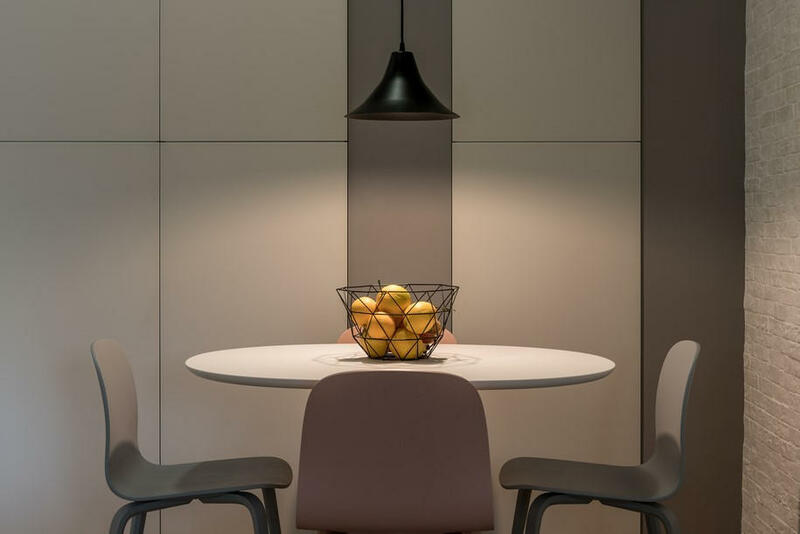 Normless Architecture Studio & Workplace applied principles inspired by Scandinavian interior design, embracing sleek lines, mute colours and open spaces. 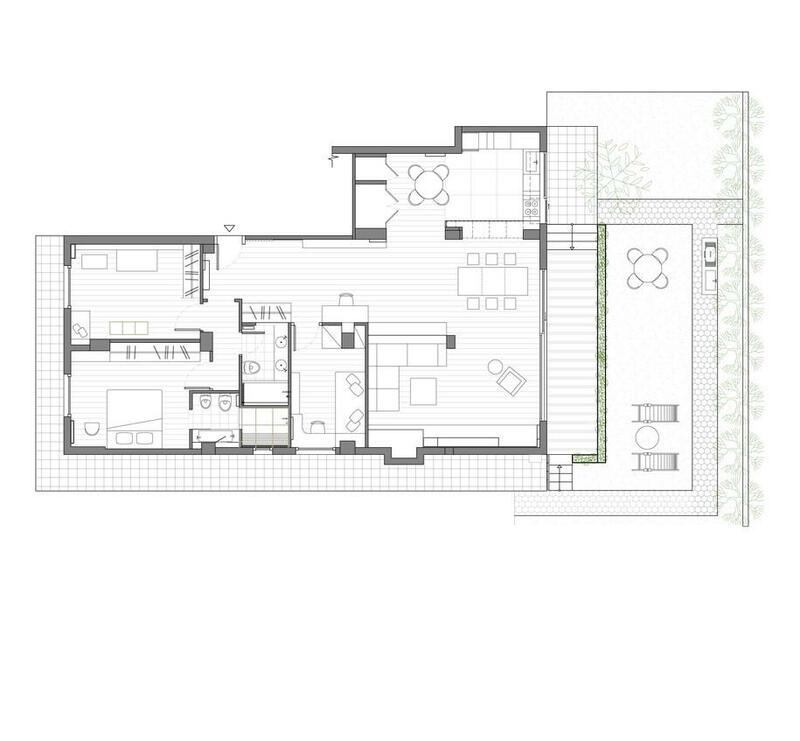 The architects’ plan was to extend the original flat by removing the front wall and replacing it with a 6m wide window, opening a full view to the private garden and allowing natural light to travel across the rooms. The extra square meters were covered with an open wooden roof, above the dining and living room space. 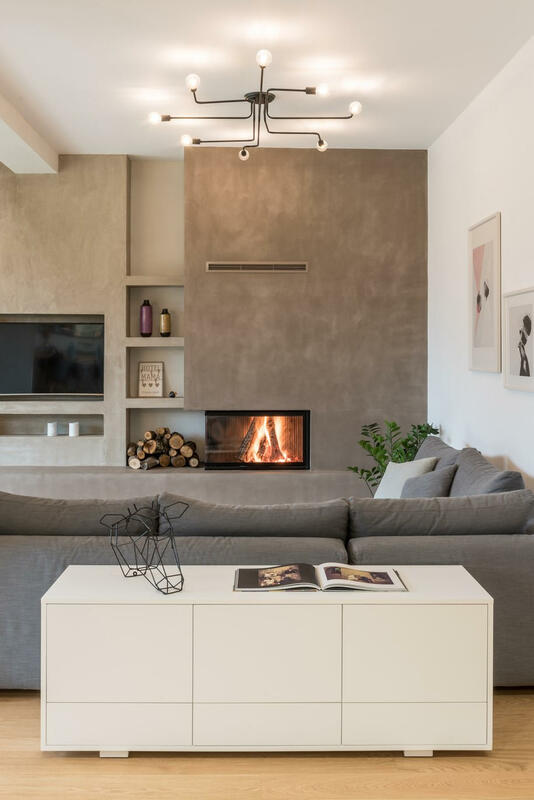 An energy efficient fireplace was built and the wall next to it was extended to create storage shelves and seating spots following a linear design line. The walls were covered with Kourasanit natural filler as a dark background complementing the light colored furniture. 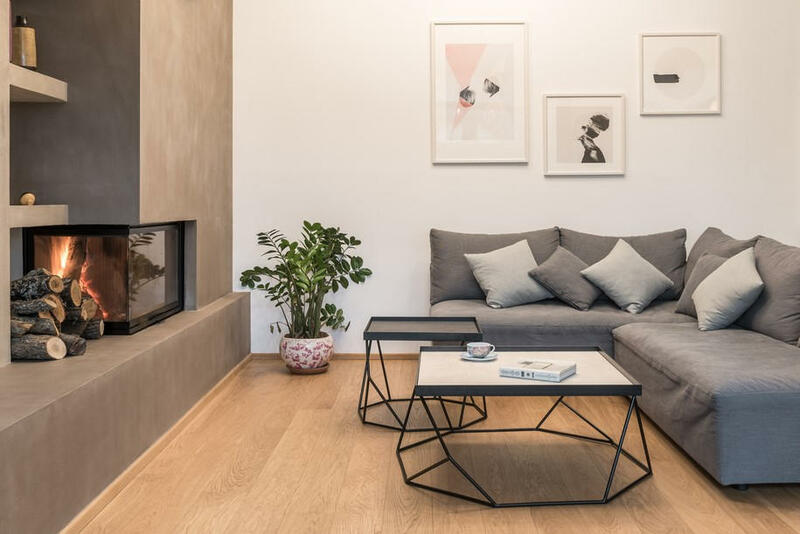 The geometric coffee tables are custom designed and handmade metal frames using black and white tiles as a top layer. 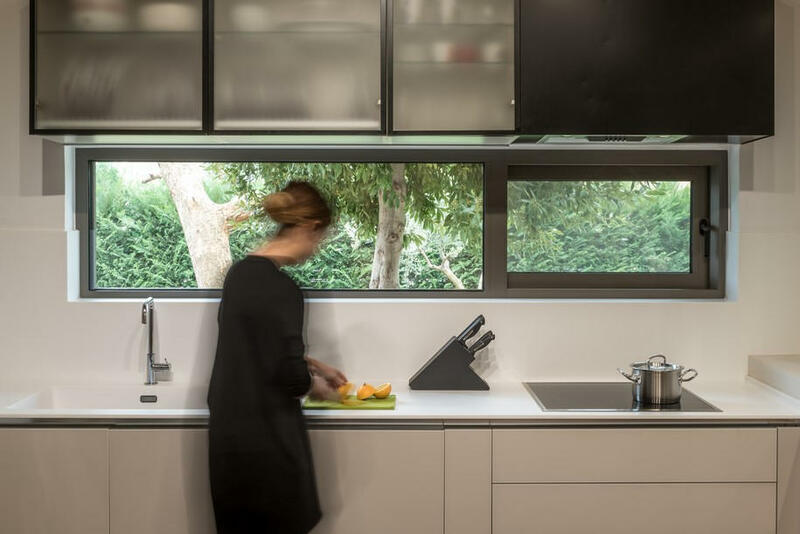 Visually connected with the dining area through a black-framed glass window is the kitchen. A new technology of refined glass, handmade metal frames and solid wood cupboard doors create a clean and elegant space. Behind the kitchen table are the concealed storage cabinets and white bricks with a stencil clock on it, decorate the adjacent wall. The wide hallway hosts a working desk along with an oblong bookcase and a fitted wardrobe. 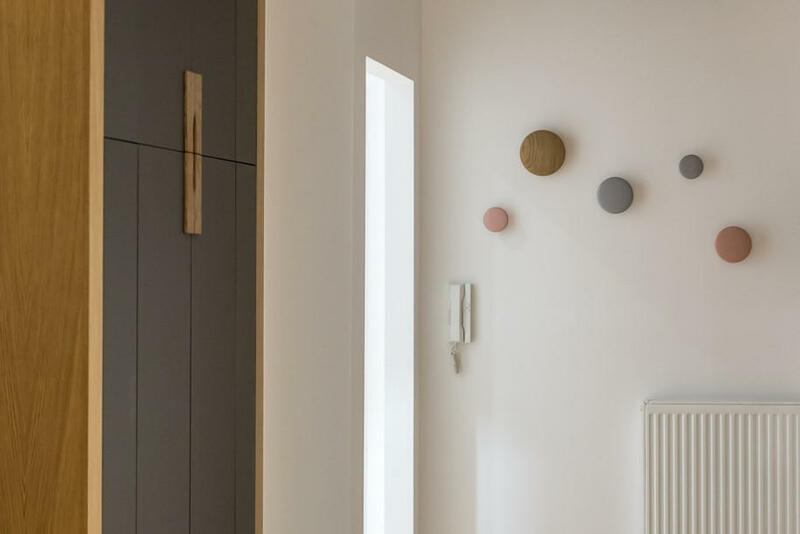 The colour palette resembles the pastel, often white-washed, yet, cozy Scandinavian interiors. 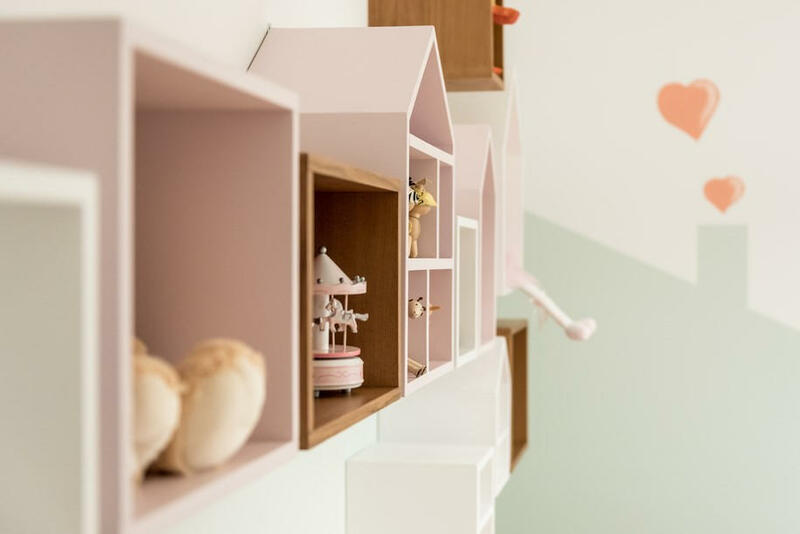 A composition of pink, white and wooden house-shaped shelves cover the right wall on the kid’s bedroom, while the other two walls are hand painted from a Greek artist to achieve a playful look, suitable for the young resident of this room. 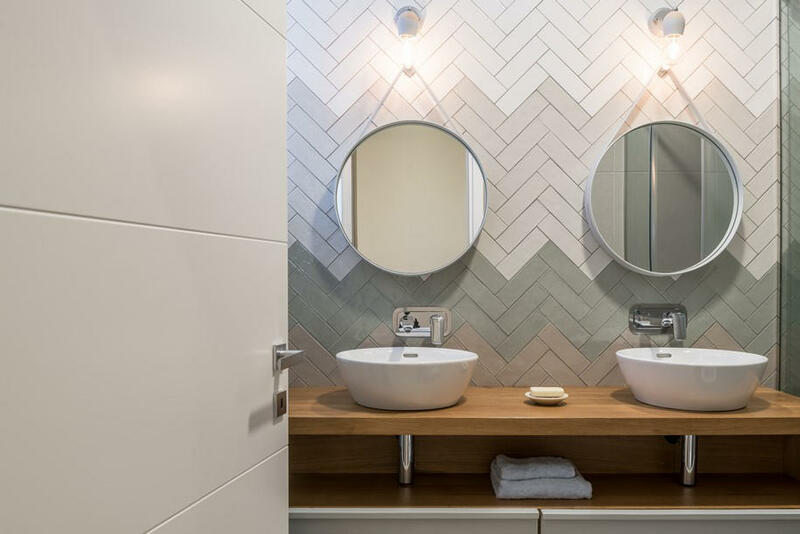 The guest bathroom features white, grey and green herringbone tiles, wooden furnishings and a black metal frame window with hidden LED lighting is used instead of a common wall. 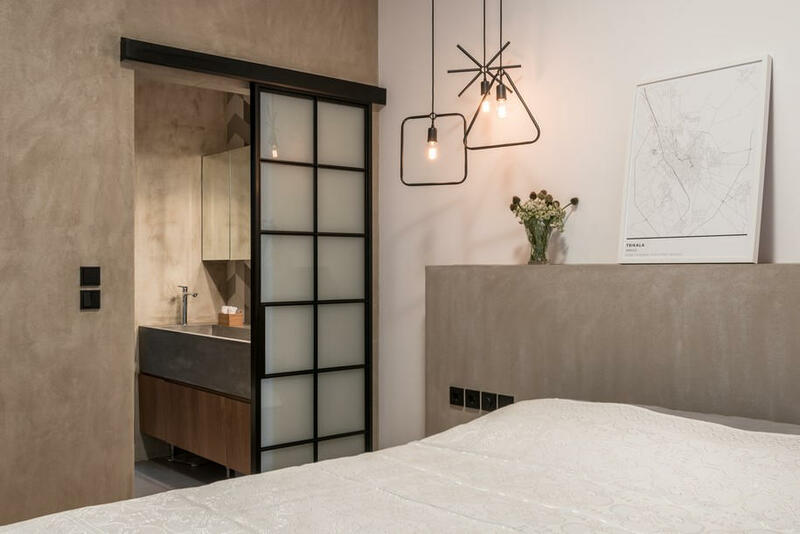 The master bedroom follows the simple lines of the rest of the flat. Kourasanit filler coating is used. A shorter wall is built behind the king size bed to act as a headboard, where custom designed pendant lights are hanged on each side. 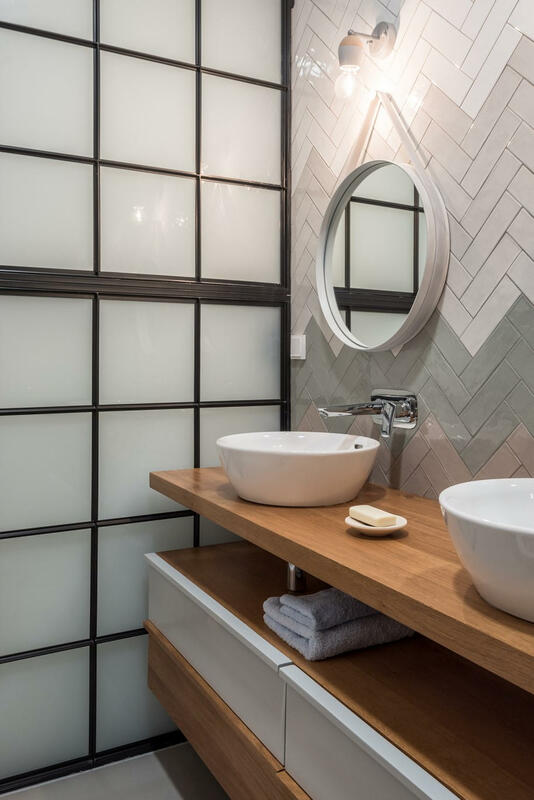 A metal sliding door leads to the en suite bathroom where instead of a typical porcelain fixture we find an elongated handmade cement basin. 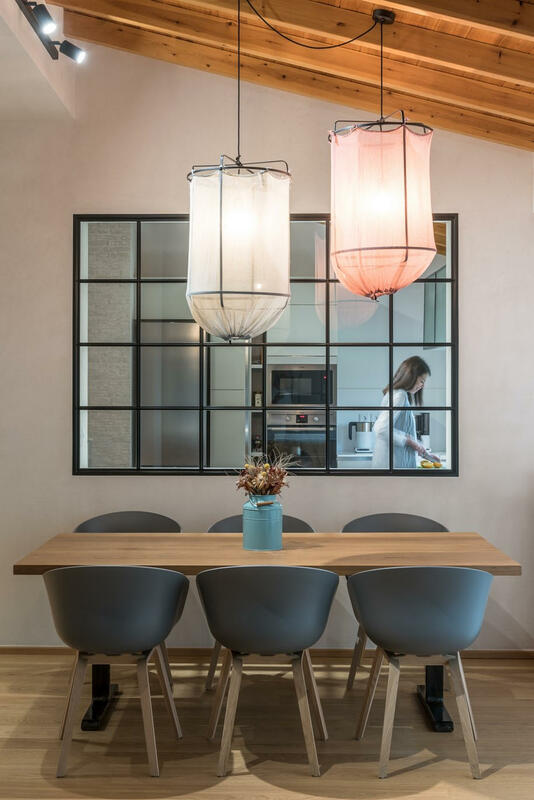 White walls and warm timber floors feature throughout the space while pink and mint pastel colors are introduced through coffee tables, dining chairs and furniture details.